Collective Nouns: Gather a pad of paper. Prepositions: Here, there and everywhere. Verbs: Know how to take action now. 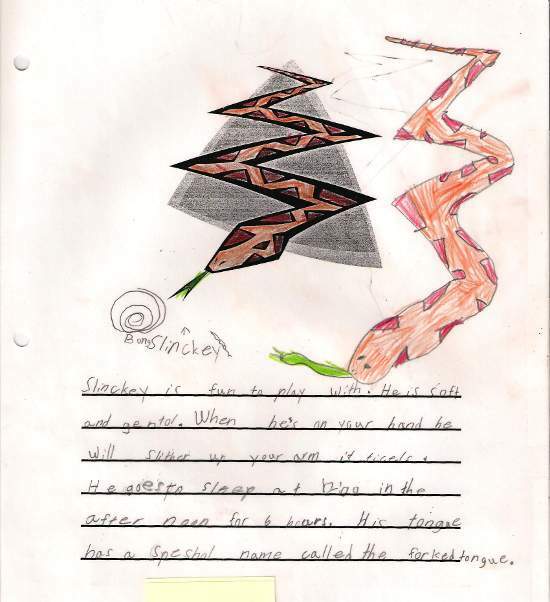 Slinky A – Developing Writer – Slinky A has written simple, basic Sentence Structure well. Doing Sentence Openers will expand his vocabulary and vary his beginnings. Good writing, Slinky.